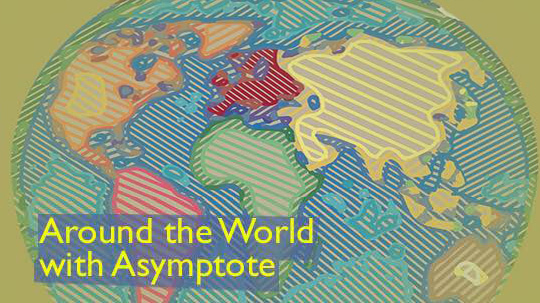 Join us as we dive into the latest in literary news! In this week’s dispatches, we travel to Hong Kong to remember wuxia writer, Jin Yong, who passed away late in October. More recently, Hong Kong played host to an international literary festival that was unfortunately plagued by controversy. Elsewhere, National Novel Writing Month kicks off in the UK, even as two large publishing houses begin outreach initiatives, and another lands itself in a Twitter controversy. In recent weeks, Hong Kong’s literary scene has been clouded by loss and anxiety. On October 30th, the prominent Hong Kong martial arts fiction writer Jin Yong passed away. His oeuvre of fifteen fictional works spawned numerous film and TV adaptations, and even popular computer games widely played by young and old alike in the Sinophone world. The Jin Yong Gallery at the Hong Kong Heritage Museum has set up a condolence point for the public to commemorate the wuxia fiction master from November 13th to 30th. At the same time, this year’s Hong Kong International Literary Festival took place from November 2nd to 11th. The festival experienced an unexpected setback when the main venue provider, the Tai Kwun Centre for Heritage and Arts, abruptly decided to cancel the venues for two talks involving Chinese dissident writer Ma Jian, namely “Hong Kong through the Lens of Literature” and “Ma Jian: China Dream”. The English translation of Ma’s most recent work, China Dream, has just been published by Penguin Random House, while the original Chinese version is forthcoming from a Taiwanese publisher. The cancellation provoked a fierce reaction from local literary and cultural circles. PEN Hong Kong issued a statement to express the organisation’s concern over Tai Kwun’s self-censorship and its threat to Hong Kong’s freedom of speech. Tai Kwun finally withdrew the cancellation and restored the events. One of the festival’s panels, “Hong Kong through the Lens of Literature” (moderated by Asymptote’s Editor-At-Large for Hong Kong, Charlie Ng), featured a vibrant conversation between Hong Kong writers Ng Mei-kwan, Hon Lai-chu, and Ma Jian on the current state of Hong Kong literature and its possible future developments. The three writers affirmed the uniqueness of Hong Kong literature as a varied body of creative writing that expresses Hong Kong’s identity and experience and is shaped by special historical and linguistic contexts. In the nearly-cancelled “Ma Jian: China Dream” panel, Ma also engaged in a dialogue with moderator Maura Cunningham about his satirical dystopian novel China Dream, which presents a scathing portrait of Chinese president Xi Jinping’s grand vision of national greatness. 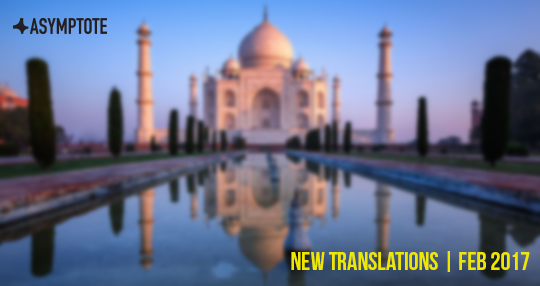 Asymptote reviews some of the best new books from French, Kannada, and Danish. 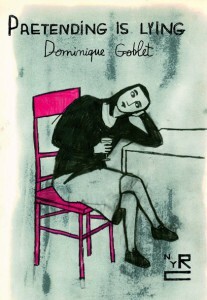 Dominique Goblet’s Pretending is Lying, translated by fellow cartoonist Sophie Yanow in collaboration with the author, immediately recalls the best work of those figures like Alison Bechdel, Adrian Tomine, and Chris Ware, who have done so much to insist on both the relevance and elegance of the graphic narrative form in the Anglophone world. Fortunately, New York Review Books is dedicated to showcasing the many voices contributing to an ongoing, worldwide comic conversation, and its latest contribution is this Belgian memoir. Originally titled Faire semblant c’est mentir, it centers on the experiences of Dominique—a fictionalized version of the author herself—as she navigates fraught relationships with her parents, including with her looming lush of a father. Also sketched out is a romantic relationship where Dominique attempts to grapple with that most fundamental question of heartbreak: why did he leave me? A certified electrician and plumber, Goblet clearly understands a thing or two about the necessary connections running through structures to make them work, and her illustrations carry this skill into Pretending is Lying, her first work to appear in English. Image and text perform an intricate choreography, reveling in an aesthetic that frequently slips between the easily imitated and the utterly remarkable. If the easy analogy for reading comics is the process of examining a series of film stills—and even if we might be tempted to label parts of the construction of this work cinematic—I would instead suggest that Goblet offers something that more closely resembles a well curated series of photographs, each of which could easily stand on its own, given each frame’s clarity of vision and attention to detail. Secondhand Time is one of the four books shortlisted for the Baillie Gifford Prize, UK’s most prestigious prize for nonfiction, the winner of which will be announced tomorrow. Russian thinkers in the nineteenth century began referring to the Russian soul (Russkaya dusha) as a way to crystalize a national identity around the idea that Russia and its people possess a singular, exceptional destiny. Be it Dostoevsky’s high-strung and philosophical protagonists, Goncharov’s ambitionless, sensitive Oblomov, or Tolstoy’s nature-inspired, contemplative heroes, Russia’s iconic authors portrayed their countrymen as uninterested in replicating Europe’s then burgeoning industrial capitalism and its protestant work ethic; rather, these characters’ thoughts and actions sprang from a loftier, more spiritual sensibility. Today, Russians’ views of their country’s tumultuous history and uncertain, post-Soviet future are shaped, in no small part, by whether or not they believe in Russian exceptionalism, and this question frames Belarussian author Svetlana Alexievich’s latest book to be published in English, Secondhand Time. 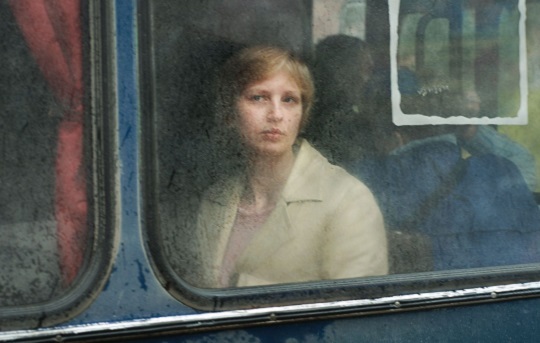 As she did earlier with Voices from Chernobyl (1997), the work that precipitated her winning the 2015 Nobel Prize in Literature, in Secondhand Time, originally published in 2013, Ms. Alexievich gives readers history “in miniature,” by presenting the reflections of ordinary Russians as told in their own voices. For this latest book Ms. Alexievich collected Russians’ thoughts about their post-World War II history that she recorded between 1991 and 2012. She writes that she specially sought to interview “sovaks,” a term that Russians use pejoratively to describe those who remain stuck in Soviet attitudes and behaviors. Secondhand Time’s arrival in English (Random House, 2016) serves as a timely antidote to reports in the Western press about Russian nationalism. It is a necessary rejoinder not because the reports are false; rather, too little attention has been given to the complicated reasons behind the nationalistic sentiment.